After a very dry stretch across the West the pattern is changing back to stormy. Three storm systems are lined up over the next five days. In the Northeast, cold and dry weather gives way to some snowfall over the weekend. Pacific Northwest: Three different storm systems keep the snow falling over the high volcanoes and Cascades. A few feet of accumulation likely. Whistler/Blackcomb: It's a moist flow with at least three different storm systems over the next five days. Heavy snow accumulations likely higher on the mountain. California: A large storm system arrives Friday night continuing on Saturday. A second storm system moves in Sunday night continuing on Monday. The heaviest snow accumulation with both storms stays above 7,000 feet with rain mixing in below. Both storms deliver moderate to heavy snow accumulations to Tahoe south to Mammoth. I like Kirkwood and Mammoth on Saturday and Monday. 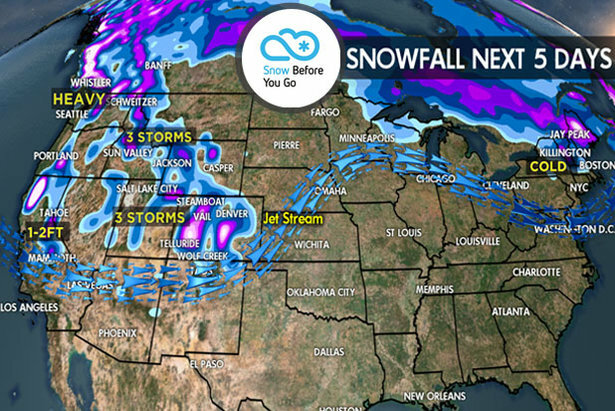 Colorado, Utah: Three storm systems are lined up over the next five days. Moderate to heavy snowfall continues in Utah on Thursday before ending Thursday night. That snow moves into Colorado on Thursday and continues on Friday morning before ending. The second storm system arrives in Utah on Saturday with moderate snow accumulations then moves into Colorado on Saturday night. Snow continues in Colorado on Sunday. The third storm system arrives in Utah on Monday with moderate to heavy accumulations then moves into Colorado through Tuesday. I like Loveland and Winter Park on Friday and Aspen/Snowmass on Sunday. Wyoming, Montana, Idaho: Moderate snow continues in Wyoming on Thursday before ending. A second storm system arrives Friday night in Idaho with moderate snow accumulations and then moves into Montana and Wyoming through Saturday. A third storm system hits Idaho on Sunday night and moves into Montana and Wyoming through Monday. I like Schweitzer on Saturday. Northeast: Cold temperatures prevail until an Alberta Clipper spreads light to moderate snowfall into the area Friday night through Saturday. Another wave of snow possible Sunday night through Monday along with warmer temperatures. Some of that precipitation may fall as rain. 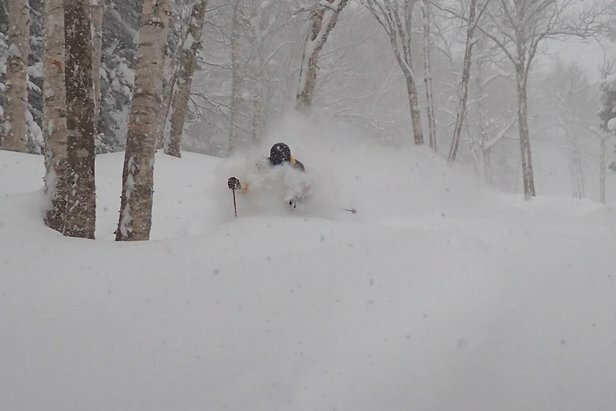 I like Jay Peak, Sugarbush, Stowe and Killington on Saturday.